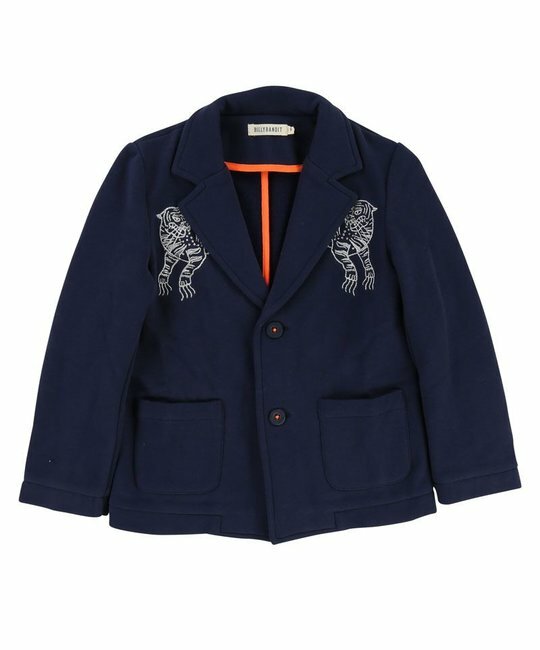 Billybandit soft cotton navy two button blazer with embroidered stitch detailing. 80% Cotton, 20% Polyester. Imported.